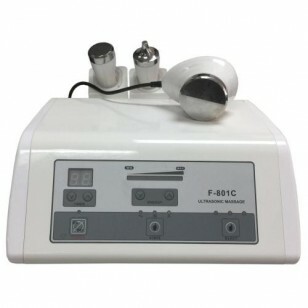 For impressive treatment effects, add the Ultrasound Face & Body Unit F-801C from Natali Products to your line-up. It’s so versatile that it can be used for not only the body, but also the face and even the delicate eye area without taking up a lot of counter space. The Ultrasound Face & Body Unit F-801C has features along the front that you’ll find convenient including a timer and an energy intensity adjuster. You can also select either continuous or pulsed ultrasound output depending on your clients’ needs. However, using the pulsed mode will prolong the life of the treatment head. This ultrasound device comes with 3 heads – a separate one for the face, eye, and body areas. Lastly, you can also choose the rated voltage by selecting either the 120V or 220V device. Sign up as a member, and you'll gain access to the Ultrasound Face & Body F-801C Manual as well as other valuable resources. Note: Spare parts for this unit are available. To view or purchase, please click here!